After the Surface RT and Surface 3, Microsoft is once again back with a new attempt to create a low-cost 2-in-1 with mass market appeal. The company is positioning its newest laptop-tablet hybrid, the Surface Go, as the perfect device for children and teens, as well as those who want or need a smaller second computer to compliment their existing mobile and desktop devices. In a lot of ways, Surface Go is an exceptional 2-in-1, representing an amazing feat in miniaturization, but as something that actually makes sense to buy as a second device, the value proposition it presents is less clear. 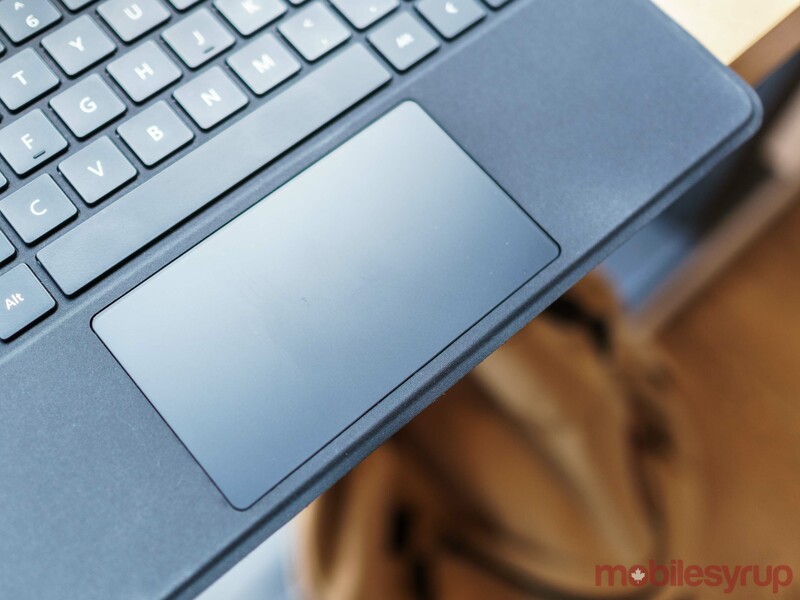 Measuring in at 8.3mm thick, the Surface Go is Microsoft’s thinnest 2-in-1 to date. 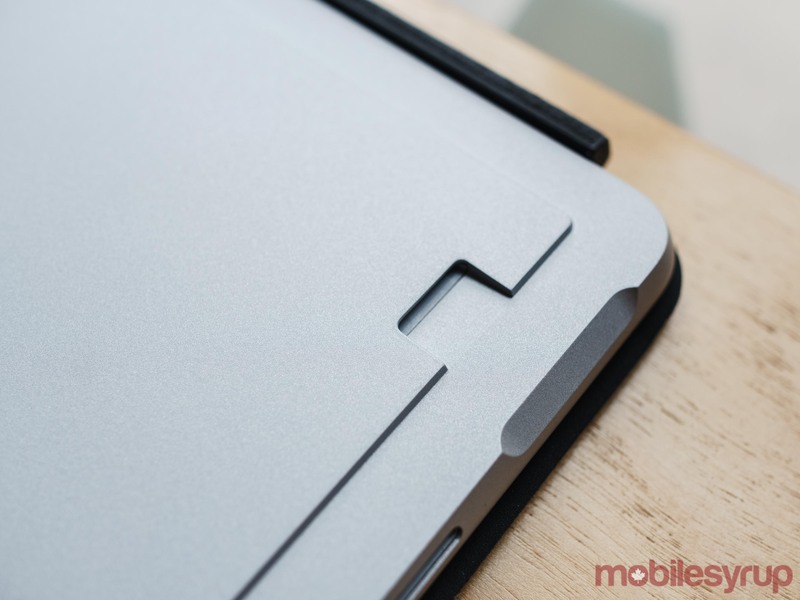 In fact, as Paul Thurrott points out, unless the company were to redesign its current hinge mechanism and remove the headphone jack from future Surface devices, it’s unlikely Microsoft will be able to make a thinner 2-in-1. Moreover, at only 521g, the Surface Go is light. During my time with it, I carried both the Surface Go and my 13-inch MacBook Pro, which weighs 1.37 kg, in my backpack to and from work every day, and I didn’t feel like my bag was any heavier as a result. Using Surface Go as a tablet, it feels substantial thanks to the same magnesium metal construction that’s a hallmark of Microsoft’s other Surface-branded devices. Indeed, with the exception of a missing PixelSense Accelerator, which in the case of the Surface Pro and Surface Book 2 help make the Surface Pen more responsive when used in conjunction with those devices, the Surface Go is, for all intents and purposes, a smaller Surface Pro. Small touches that Surface fans love, such as Windows Hello authentication and the Surface Pro’s 165-degree ‘Studio’ hinge, are all present here in miniature form. Sometimes, as is the case with the Surface Go’s display, that translation to a smaller Surface Pro doesn’t go off without a hitch, however. The Surface Go features a 10-inch ‘PixelSense’ screen with 1800 x 1200 pixel resolution and 3:2 aspect ratio. With a typical brightness of 350 nits, Surface Go’s display is plenty bright for indoor use. Moreover, it features 100 percent sRBG coverage and delivers crisp colours that are vibrant without looking too saturated. At first blush then, the Surface Go appears to feature a screen that’s much better than what other 2-in-1s, laptops and tablets in the $500 price range offer. Unfortunately, there’s no getting around the fact that it’s a 10-inch screen, with all the limits to usability that entails. While there are valid reasons for their large size, the Surface Go’s sizeable bezels make an already small screen feel even more cramped. Screen scaling is another issue. By default, Surface Go scales text and interface elements to 150 percent of their original size. This makes most text easy to read — though some smaller text and icons can look blurry. 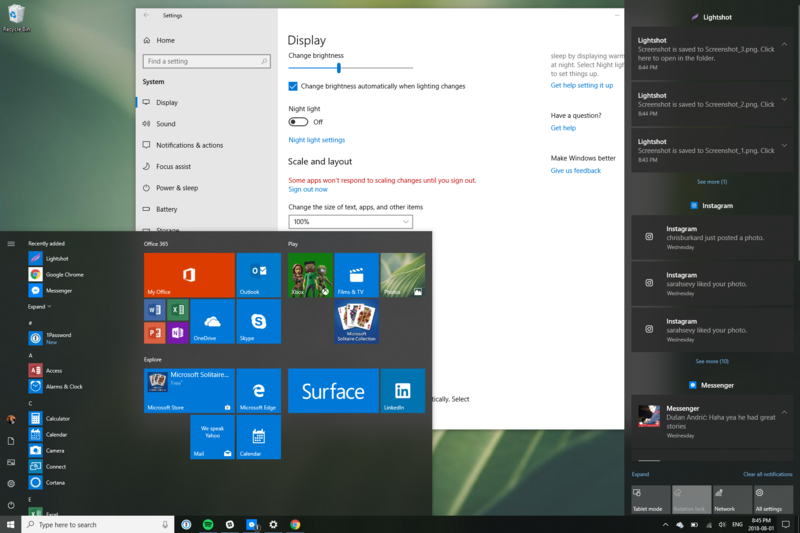 The trade-off, however, is that there’s just not enough screen space for Windows 10’s signature snap functionality to work as well as it does on larger screens. For example, using Google services like Gmail and Drive, via both Microsoft Edge and Google Chrome, required either almost excessive amounts of scrolling to navigate or were completely unusable. Meanwhile, apps that I downloaded from the Microsoft Store were hit and miss. Some, like Facebook Messenger and Instagram, were perfectly usable when snapped side-by-side, and yet others, like Spotify and Slack, needed their own dedicated virtual desktop to be useable. Other interface scaling options, such as the 100 and 125 percent settings, make most text almost too small to read. The result of all of this is that, more so than other Surface devices, making the most of Surface Go means switching between virtual desktops. 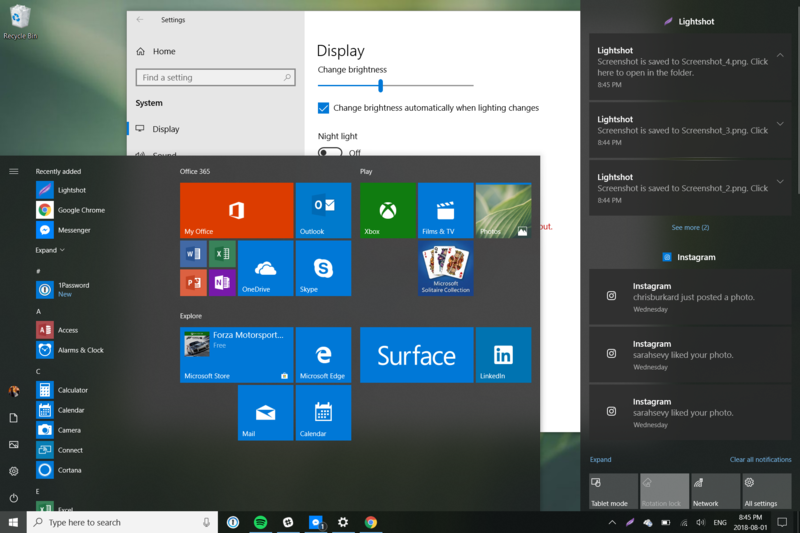 Ironically, most of Windows 10’s best desktop management tools, such as the ability to switch between apps even when they’re on different virtual desktops by using the Alt-Tab shortcut, aren’t enabled by default, nor does the operating system go out its way to surface these tools to the user. Moreover, even shrunk down, the display’s 3:2 aspect ratio makes the Surface Go somewhat awkward to use in a portrait orientation, limiting its appeal as a tablet. 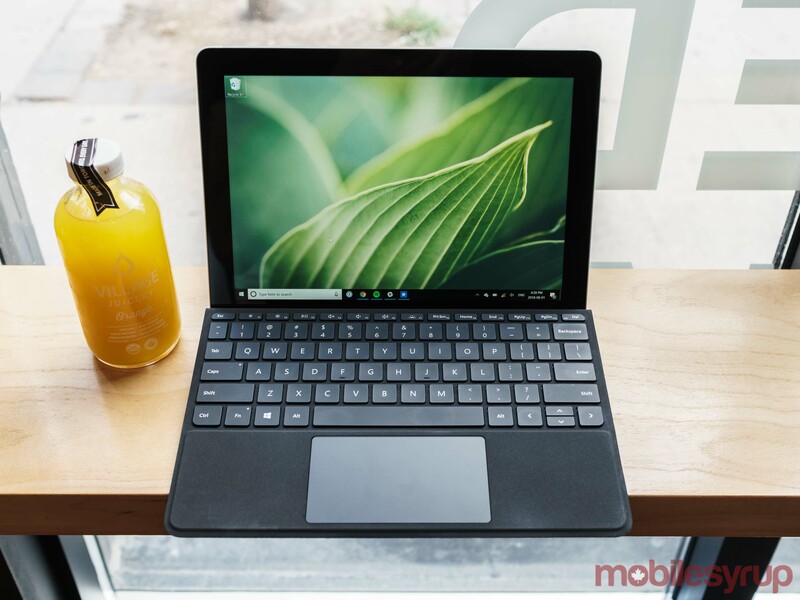 Elsewhere, Microsoft’s attempt to make a small Surface Pro leads to stronger results. Specifically, the biggest standout is the new, smaller Type Cover Microsoft created for the Surface Go. While my typing was less precise and slower with the Surface Go’s smaller Type Cover keyboard, which is 85 percent the size of a full-sized keyboard, I didn’t notice any comfortability issues, even during extended use. In fact, I wrote the majority of this with the Surface Go. 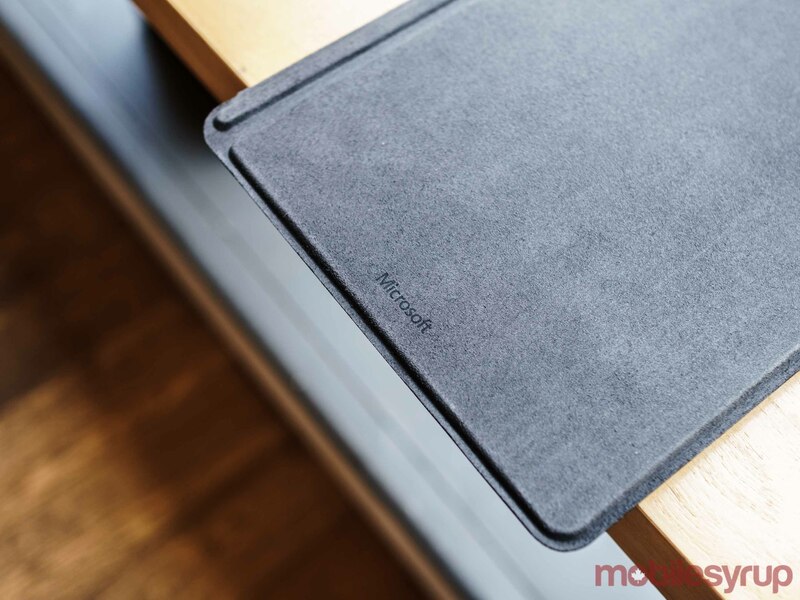 Moreover, in a pleasant surprise, the Surface Go’s keyboard features the largest trackpad Microsoft has ever shipped on one of its Type Covers. It’s now the full length of the space bar, which makes it more comfortable and easier to use. To be clear, there’s still a notable difference between the Surface Go’s keyboard and any full-sized keyboard. Given my job, I don’t think I could use the Surface Go as my daily workhorse machine. Between the cramped screen and smaller keyboard, everything felt like it took longer than it does on my MacBook Pro or Windows 10 desktop at home. That said, Microsoft should be commended for creating an excellent keyboard within the constraints it set for itself. The Surface Go Type Cover stands as one of the best small-sized keyboards I’ve used, far surpassing peripherals like Apple’s Smart Keyboard. One concern I had going into this review was performance. 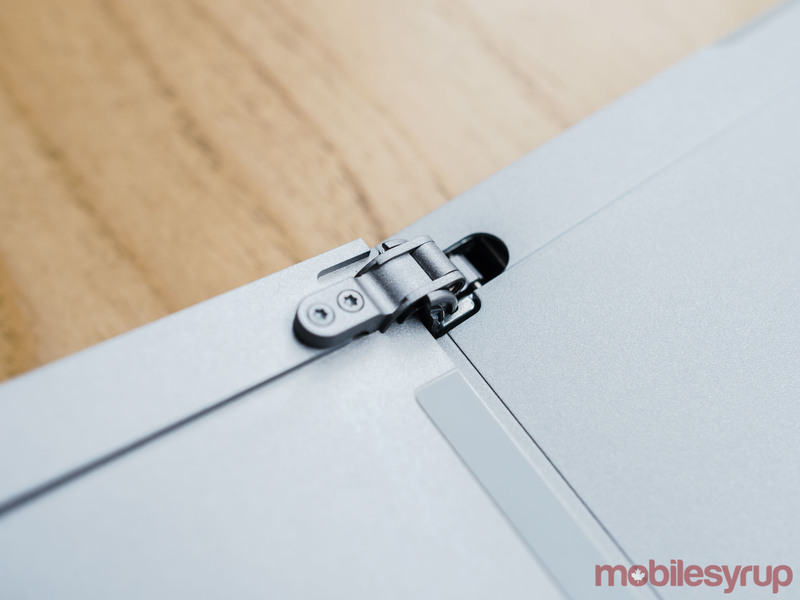 The 7th generation Intel 4415Y chipset that powers the Surface Go is a processor that is typically found in mid-range Chromebooks, not devices that come pre-installed with a full desktop operating systems like Windows 10. My experiences using computers with Intel’s Core M series of processors, which the chipmaker markets as more technically capable than the 4415Y, left me frustrated. I always felt like I was fighting those devices to complete simple tasks. To my surprise, however, the 4415Y was a capable performer. With the model Microsoft provided to MobileSyrup, which featured 8GB of RAM and a faster 128GB solid-state drive (SSD), I was able to use all my usual go-to apps — Spotify, Chrome and Slack — across multiple virtual desktops, without issue or slowdown. Of course, performance wasn’t as smooth as what I’ve experienced on more powerful Windows 10 machines; it sometimes took several long seconds before apps and new browser tabs would load, and while I was able to complete more processor intensive tasks, such as editing a photo in Adobe Lightroom, those were best left to more capable machines. In short, as a light computing device, the Surface Go delivers exactly where it counts. Battery performance, on the other hand, is about what one can expect with a device of this size. On its website, Microsoft claims it was able to eek out nine hours of battery uptime on the more power hungry 8GB model. Like most other industry battery tests, Microsoft’s Surface Go test involved a device that continuously played local video, with its Wi-Fi on, until it fully discharged its battery. When I tested the device in mixed-use, using Microsoft Edge as my primary browser and listening to music on Spotify while writing this review with the computer’s brightness set to the ‘Suggested” setting, I drained the 27 watt-hours battery from 100 to 10 percent in approximately four hours and 10 minutes. In a second battery test I conducted using Google Chrome instead of Edge, the Surface Go’s battery performed slightly worse, draining to 10 percent in just under four hours. 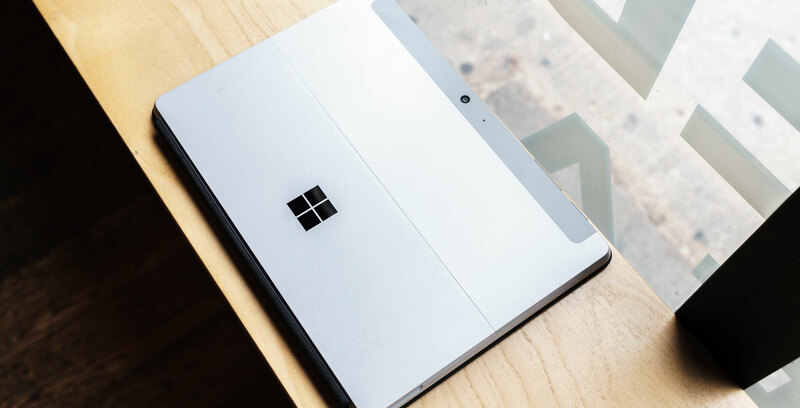 If there’s a silver lining to the Surface Go’s average battery life, it’s that it is the second Surface device to ship with a USB-C port (it also includes Microsoft’s proprietary Surface Connect port, a 3.5mm headphone jack and microSD card reader). This means you can use an external battery to charge the 2-in-1 when it’s not near a wall outlet; as an added bonus, if you already own a USB-C charger, you don’t have to carry a Surface Connect charger, which is only designed to charge Surface devices. For better and worse, Surface Go is going to get a lot of comparisons to Apple’s new $429 iPad. 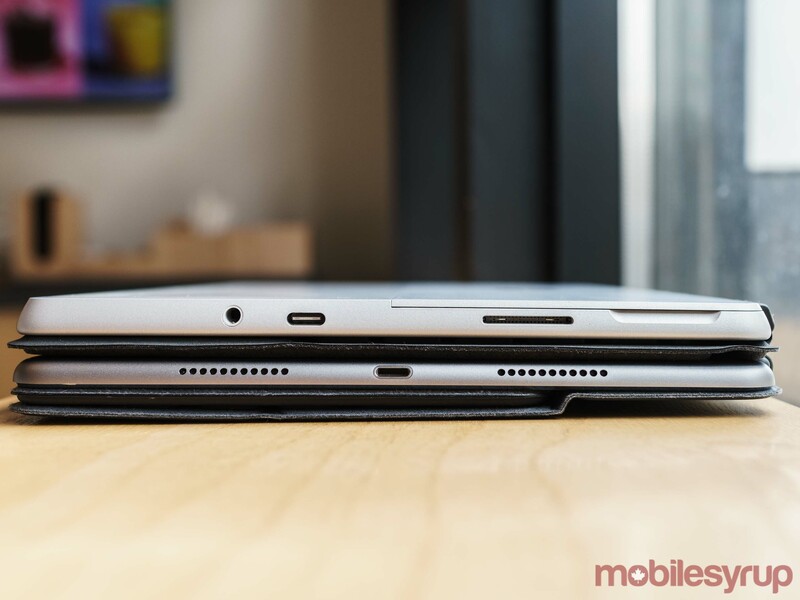 While I think they’re fundamentally different devices, it’s worthwhile pointing out some of the differences between the pair. To start, I can’t overstate how much better the typing experience is on Microsoft’s new Type Cover compared to the Bluetooth keyboards I’ve tried on the iPad. Not is there only more key travel, the fact that there’s a trackpad, with support for gestures, makes it a lot easier to use the Surface Go as a productivity-focused machine. 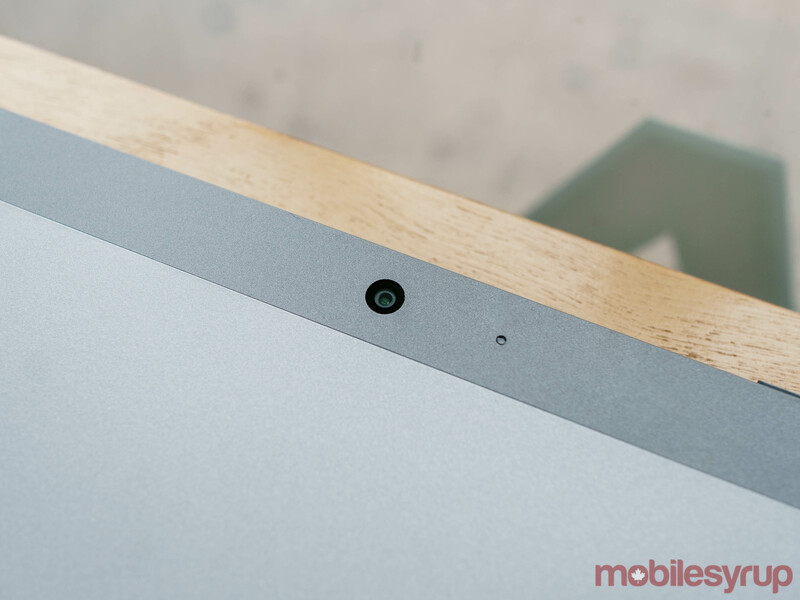 Physically, Surface Go features front-facing stereo speakers (which output loud and clear sound), as well as a sensor that enables support for Windows Hello facial authentication, both features that aren’t currently available on the entry-level iPad. 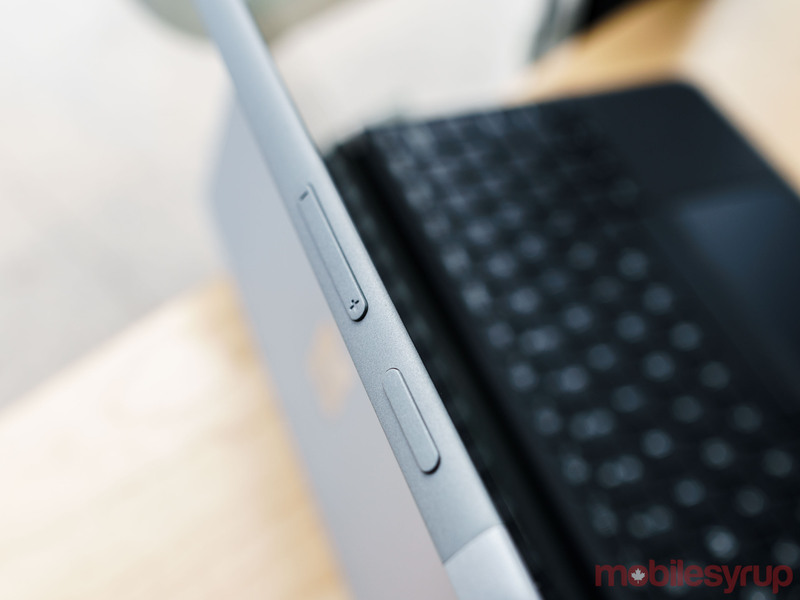 It also includes a microSD card reader, USB-C port and built-in kickstand. Then there are the differences between Windows 10 and iOS. While even on the iPad there are examples of apps that aren’t properly formatted for the device (see below), on the whole, Apple’s tablet better functions as a dedicated tablet than the Surface Go. The main issue with Windows 10 as a tablet operating system is that there are far too many apps on the Microsoft Store that aren’t properly optimized for tablet mode use. Spotify, to pick one popular example, doesn’t feature a dedicated tablet interface on Windows 10 (despite the fact that it has one on iOS). Spotify is just one example of a popular Windows app that doesn’t have a touch-optimized interface. There are countless other examples. Of course, for all its advantages as a tablet operating system, iOS isn’t a desktop operating system. 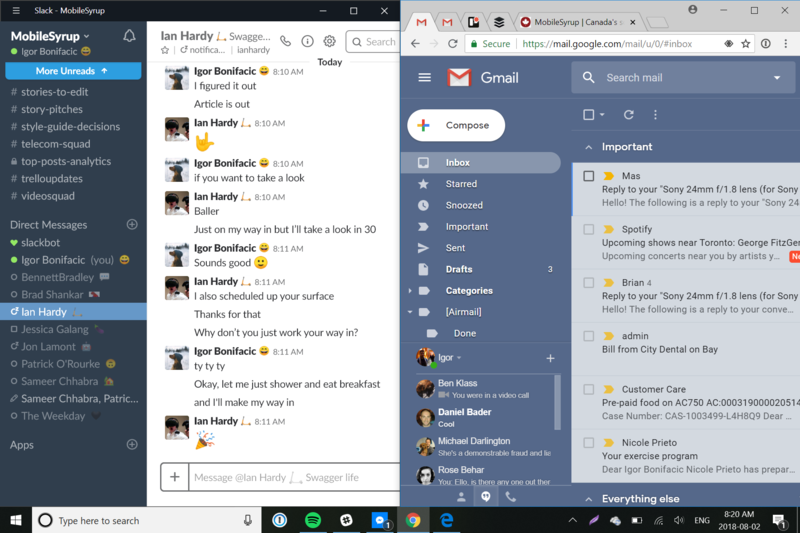 Between side-loading apps and actual multi-tasking, there’s so much more you can do with a desktop operating system like Windows 10. However, that does mean there’s a lot more added complexity with Windows 10. Even with some of the features Apple has implemented to make the iPad more capable as a productivity machine, I’ve always felt more inspired to do work with Windows 10 devices like Surface Go. At launch, the Surface Go is available to purchase in two different models. The base model, with 4GB of RAM and 64GB of internal storage, costs $529 CAD. The more expensive variant, which includes 8GB of RAM and 128GB of internal storage, is priced at $699 CAD. Later this year, Microsoft also plans to release a Surface Go model with LTE connectivity. The company hasn’t announced yet how much that variant will cost. Besides the difference in storage capacities, the 128GB Surface Go features faster SSD storage than the 64GB model, which makes use of slower embedded MultiMediaCard (eMMC) storage. Otherwise, both currently available models are identical, shipping with the same Intel 4415Y chipset. If you’re considering the Surface Go, the base model is tough to recommend. I can’t speak to what performance is like on it — as I mentioned earlier, Microsoft provided MobileSyrup with the 8GB model for review. However, even without having used it, I hesitate to recommend it for two reasons. First, for a device that ships with a full desktop operating system (out of the box, Surface Go comes with Windows 10 S. Users can upgrade to Windows 10 Home for free) 4GB of RAM is likely to lead to a sluggish experience, particularly as the Surface Go ages. Second, even using cloud storage services and microSD expandability, 64GB is likely far too little local storage for most people’s needs. After installing only the bare minimum of apps I need to do my job, 30GB of my Surface Go’s SSD was already taken up. With the base model’s 64GB of internal storage, you’re looking at a situation in which more than half of your new computer’s storage will be taken up before you even launch it for the first time. For the sake of owning a device that will have some longevity, and one that you’ll actually enjoy using, the more expensive model is the one to buy. That raises a separate issue, however. $700 is a lot of money to spend on a 2-in-1 that doesn’t come with a keyboard inside the box (Microsoft sells the Surface Go’s Type Cover separately). Once you start factoring in accessories like the Type Cover, Surface Go costs much more than its sticker price suggests. At the minimum, Canadian consumers can expect to spend $129.99 CAD to add the basic black Type Cover to go along with their new device. The more premium Alcantara Signature Type Cover, which comes in three different colours — ‘Burgundy’, ‘Cobalt Blue’ and ‘Platinum’ — is priced at $169.99 CAD. Adding a Surface Pen ($129.99 CAD) and Microsoft Complete warranty coverage ($129 CAD) to the mix, increases the cost of the Surface Go even further. Depending on the model, using the Surface Go as its team intended, with Surface Pen and Alcantara Type Cover, costs between $829 and $999 before tax. That’s a lot of money to spend on what’s ostensibly supposed to be a second computer or a device you give to a child. In a vacuum, Surface Go is a great device. 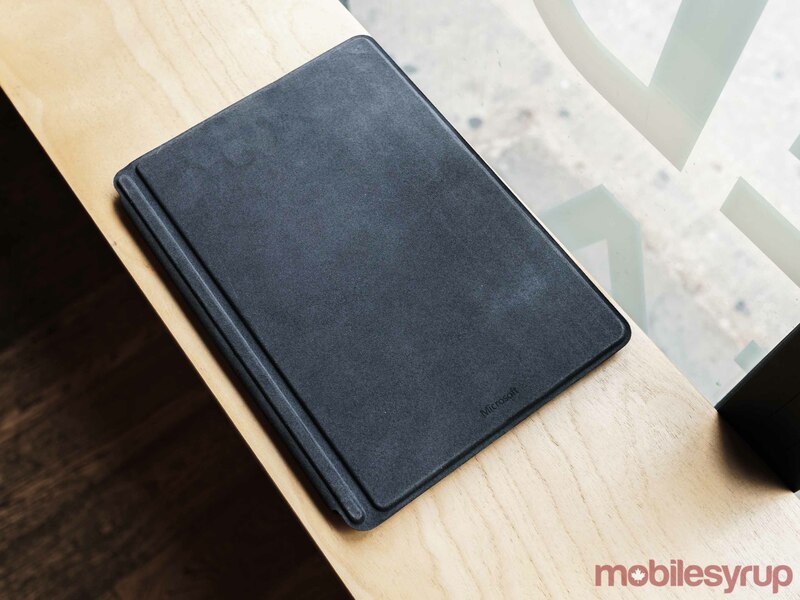 It’s a thoughtfully designed and well-made 2-in-1. However, as a device that’s designed to serve as a low-cost alternative to more expensive and powerful computers, I can’t help but feel that it misses that mark. In product categories where price is the main factor in a consumer’s decision whether or not to buy a device, the Surface Go is simply too expensive to recommend. 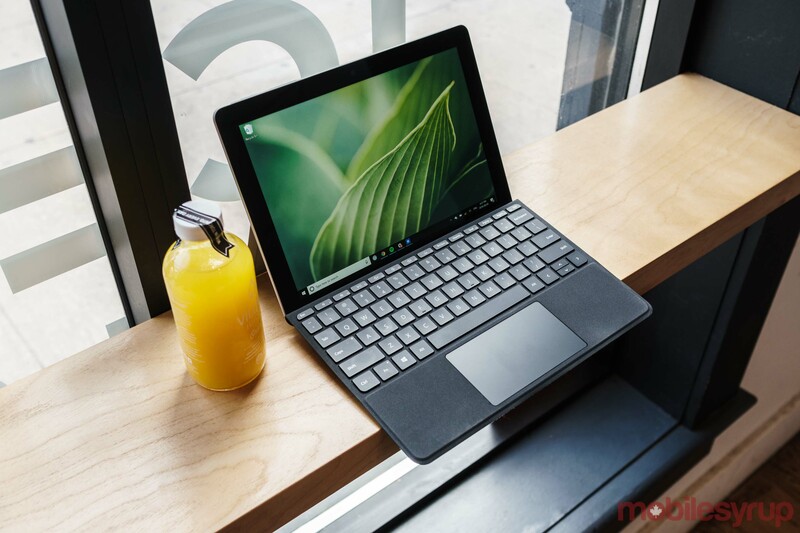 Unless money is not an object or Microsoft were to start bundling the basic Type Cover keyboard with Surface Go, there are inexpensive Chromebooks that fill the same niche as the Surface Go for a fraction of the cost. Sure, they’re not as well made, nor do they feature premium features like facial authentication, but as media consumption and light computing devices, they more than get the job done. "In product categories where price is the main factor in a consumer’s decision whether or not to buy a device, the Surface Go is simply too expensive to recommend."